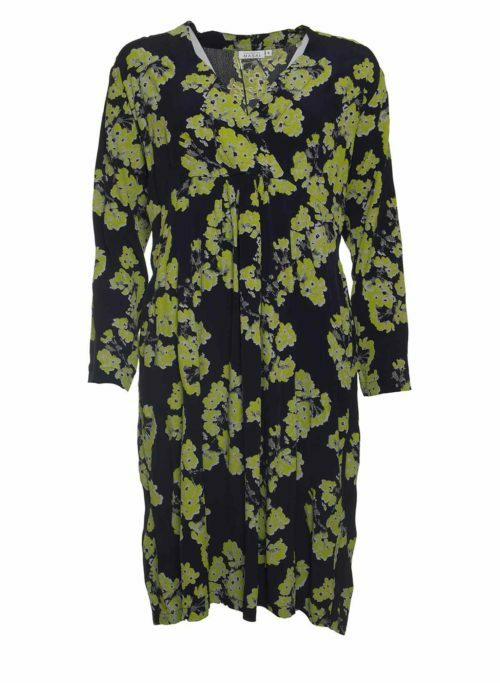 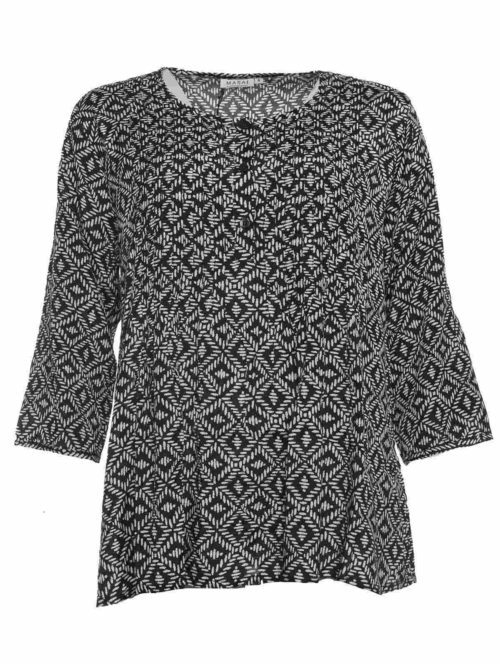 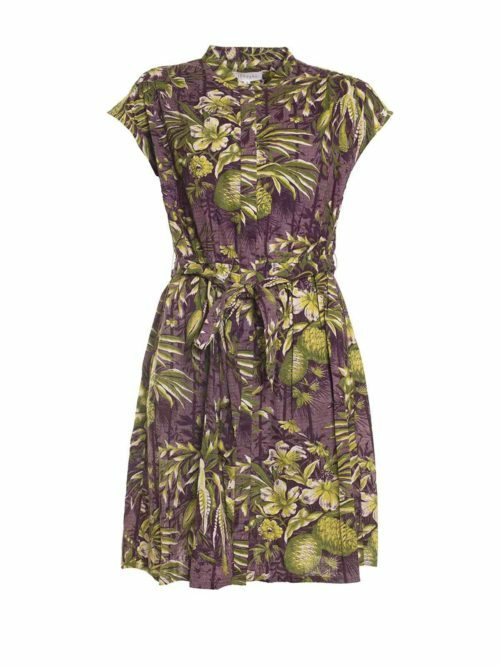 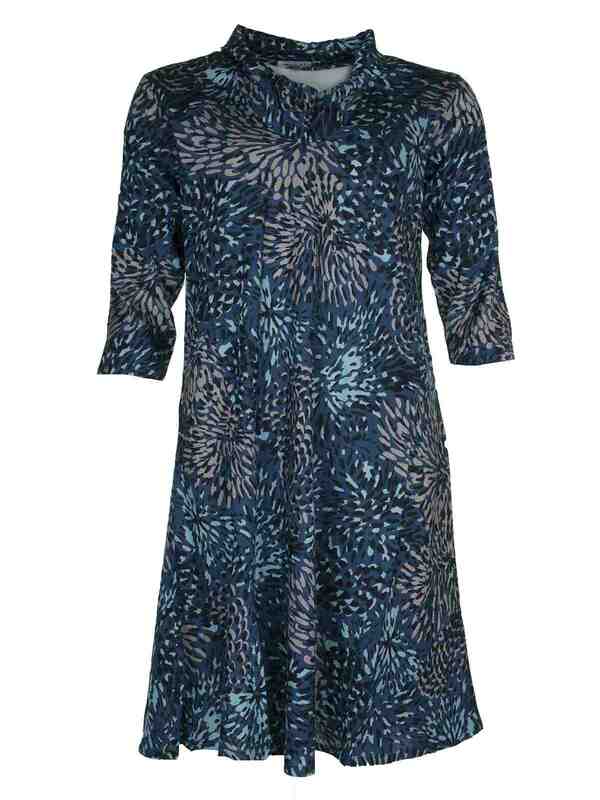 Stunning crinkle Nevanna dress from Masai. 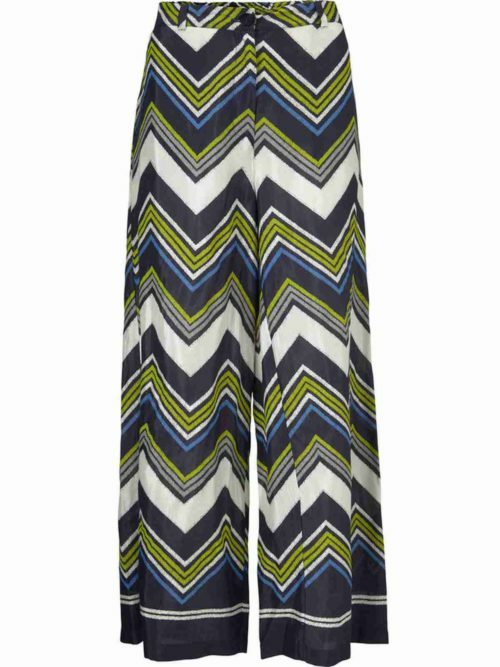 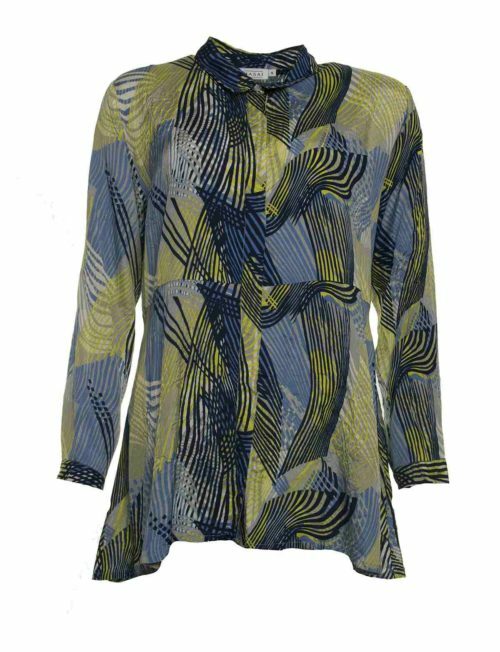 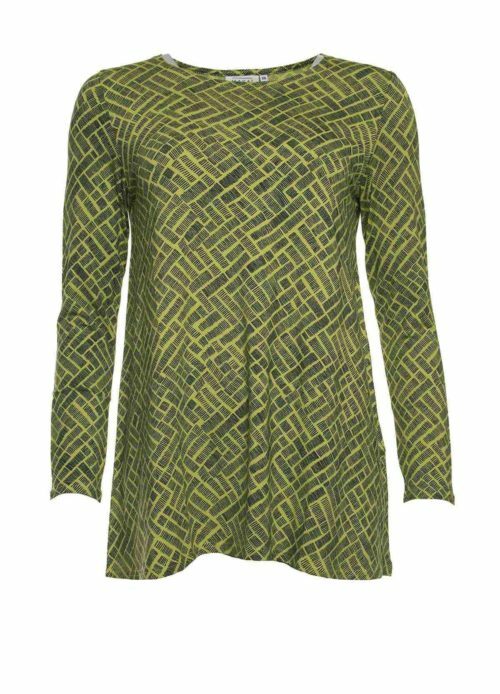 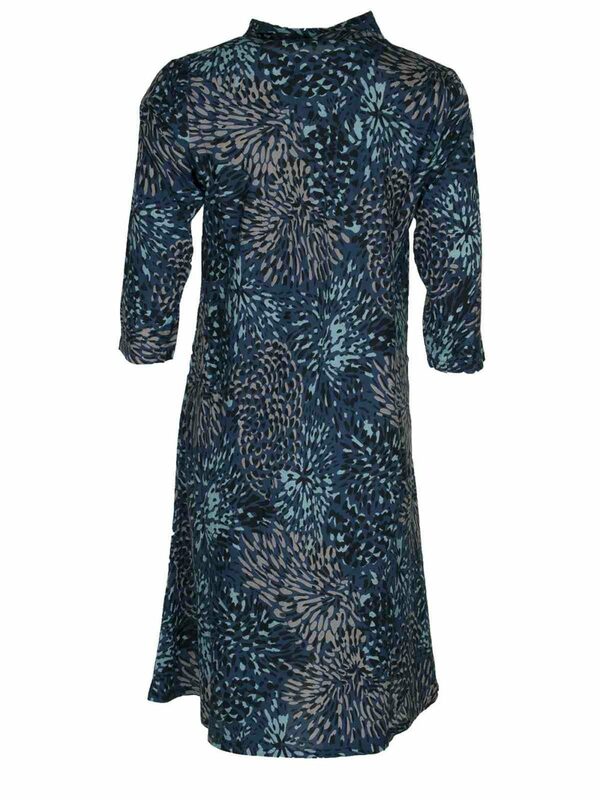 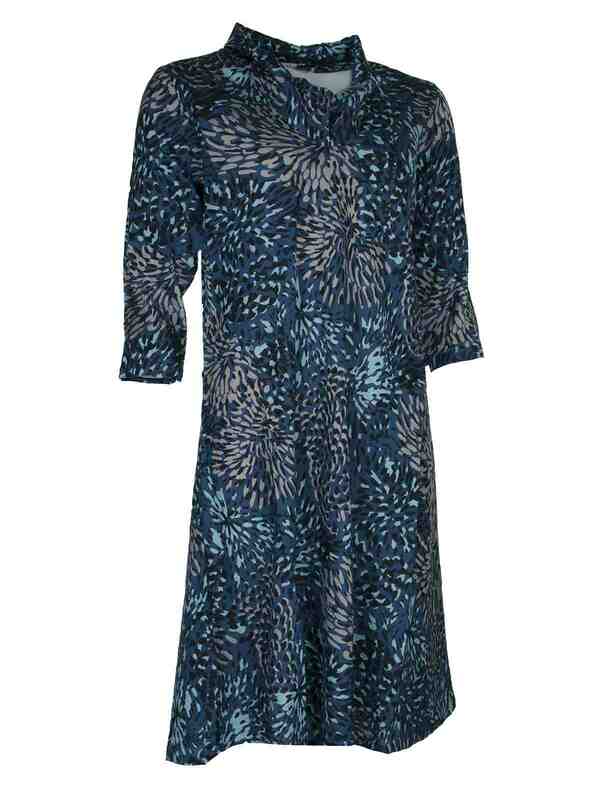 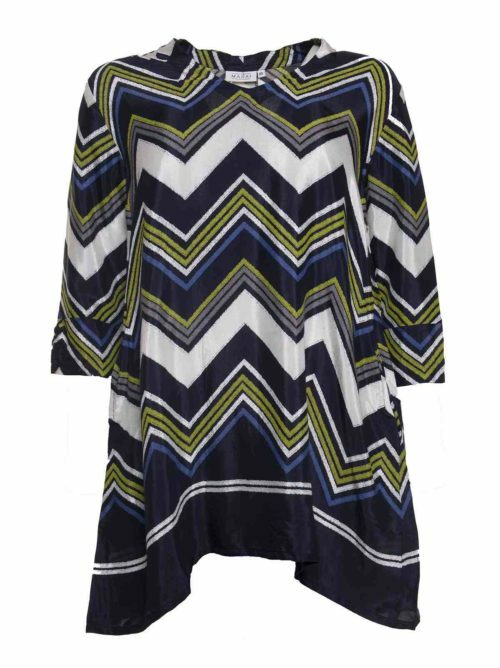 This stylish Masai Nevanna dress is a rich teal colour and is cut on the bias from soft, slightly crinkled fabric, with an elegant abstract pattern. 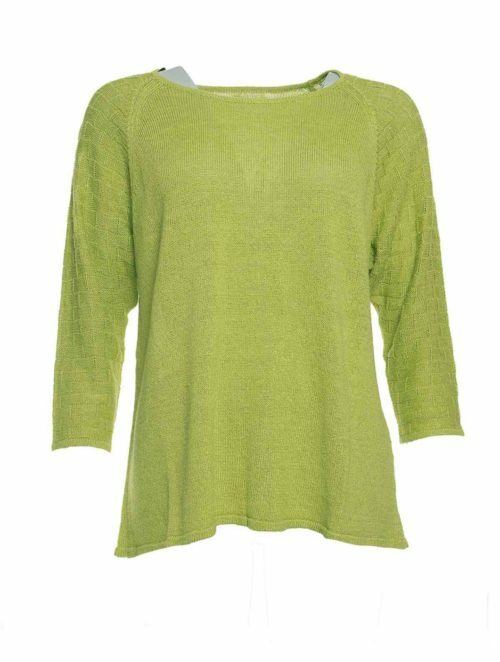 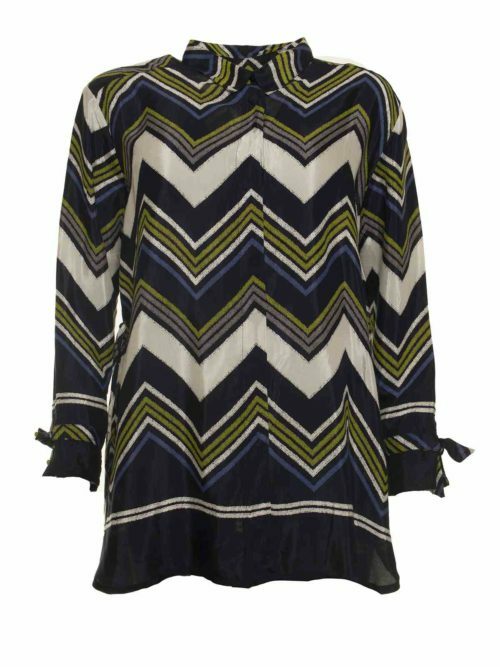 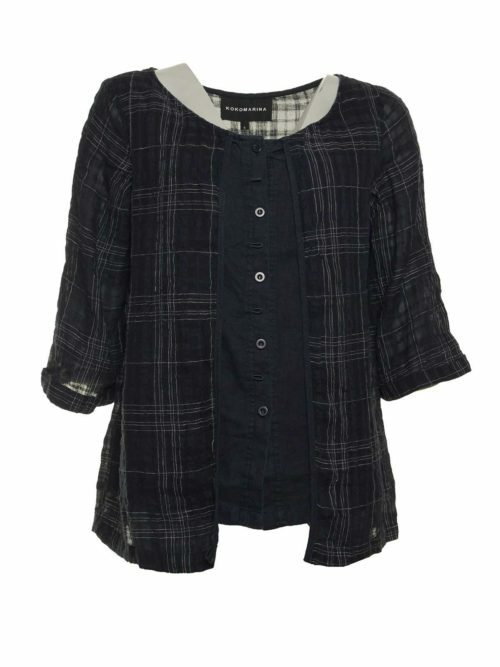 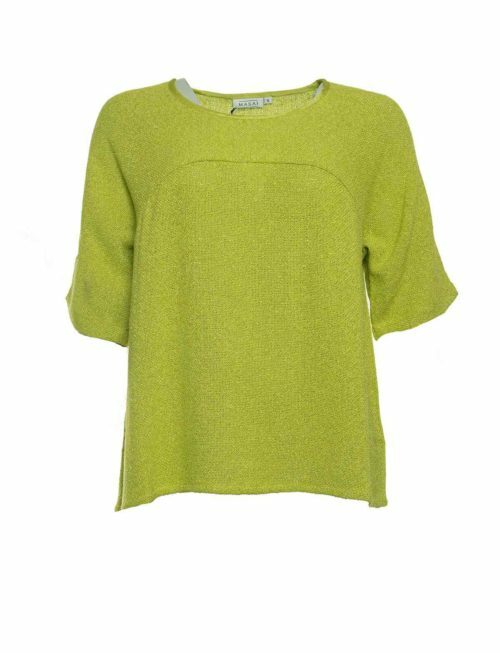 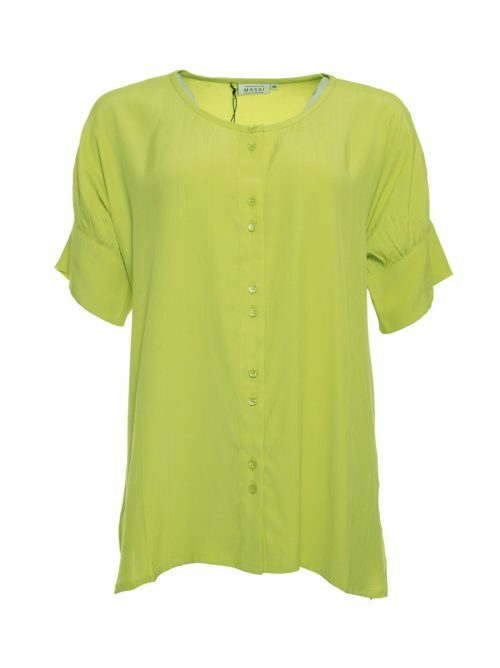 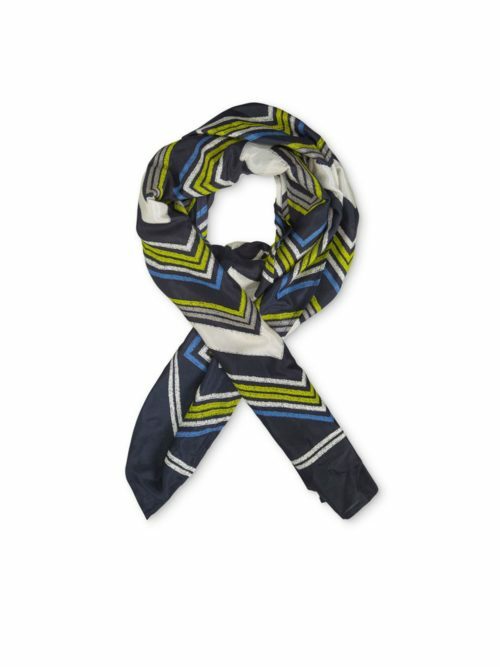 Mid-length, with a flattering A-line shape, it features three-quarter sleeves and V-neck with striking collar detail.